The stars are falling, the heroes are dying. 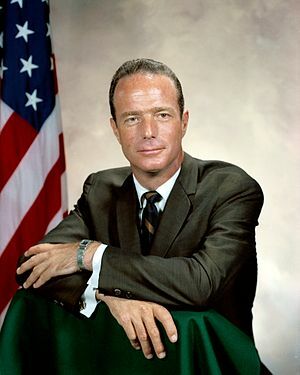 Last week we lost Scott Carpenter. The space program, the cold war, the threat of a nuclear bomb, all of this was part of my childhood. Too young to really understand the true dangers, I focused on outer space, deciding that I would be an astronaut. It did not matter that I was a girl, after all, by the time I was old enough to join NASA, I reasoned that it would no longer be a boys-only club. When John Glenn was set to be the first American to orbit the Earth, I walked in a straight line with my Oakwood Elementary classmates to the only classroom with a television set, so that we could watch him blast into space. The room was dark and crowded and the TV set was small. Our excitement was further dampened by delay after delay of the countdown, but it was space. It was new. It was exciting. I eventually came to realize that I was drawn by the romance of space, not about how to actually get there. After reading books about Chuck Yeager and Jerrie Cobb, and about the rigorous requirements for the astronauts, I decided that the space program involved too much math and too many sit ups for me. But my giving up that that child’s dream of going to space did not make me give up my love for the adventure, and for those called to launch into the heavens. I cried when Gus Grissom, Ed White, and Roger Chaffee died so horribly, and for other tragedies since then. And there were tears for Scott Carpenter. Shepherd, Grissom, Glenn, Cooper, Carpenter, Schirra, Slayton, White, McDivitt, Borman, Lovell, Stafford, Young, Armstrong, Conrad….these and other names call my heart to attention. When I heard Scott Carpenter’s name once again in the news, this song, a product of the era, came to mind. You might find it an odd choice, but listen all the way to the very end. Howdy! This blog post couldn’t be written any better! Looking through this article reminds me of my previous roommate! this post to him. Pretty sure he’ll have a good read. Many thanks for sharing!